Laut - inspired by hollows and tussock in Icelandic nature. What comes next to sitting in your mothers embrace is sitting in natures embrace. With modern materials and technique I wanted to take the feeling of sitting in an hollow, cowered with moss and move it into a home. 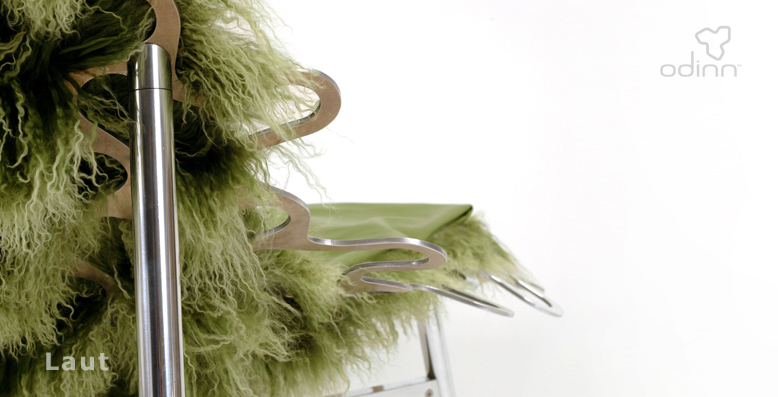 When designing "Laut", I was inspired by hollows and tussock in Icelandic nature. Limited production. Material: Aluminum, sheep lether and fur.